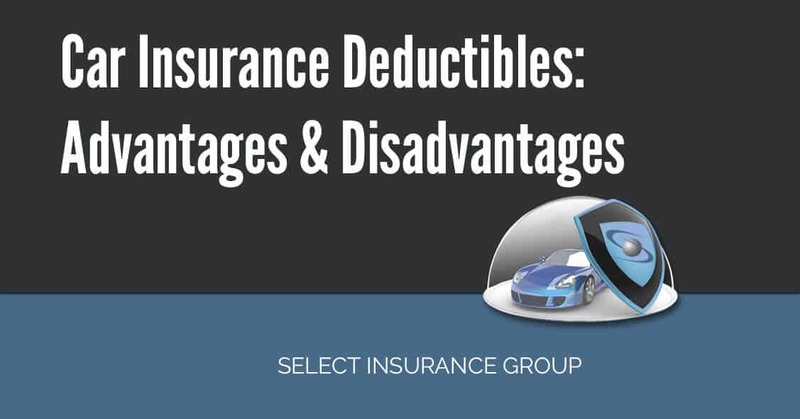 Car Insurance Deductibles: Advantages & Disadvantages – When you take out car insurance, your premium will depend on a number of factors, such as the make and model of your car, your age, and your driving history. There is another factor that has an impact on what you pay – deductibles. A deductible is the amount you have to pay towards repairs if your car is damaged. You can structure your insurance to have a large deductible; and associated lower annual premiums, or a small deductible, with larger premiums. The deductible amount in most policies will range from $100 to over $500. The size of the deductible you choose is up to you, but you will need to make decision when taking out your policy about balancing the risks involved with a larger deductible compared to the benefits of lower premiums. The ideal situation is that you never need to claim on your motor vehicle insurance. If you’re a good driver, living in a safe part of the country, you may never make a claim for years. But when you are in the situation that you need to make a claim on your auto insurance policy, and are choosing your policy level, you’ll realize the effects on your choice. If you’re car is involved in an accident that causes minor damage, if you have a large deductible, you may find that the amount of damage is less than the deductible, and so you will pay for the repairs yourself. But you will have saved money from having smaller premiums. On the other hand, if you have a small deductible, it is more than likely that the insurer will be called on to pay some part of the repair bill, even if it is small. However, for the insurer to take on this risk, they will have charged you higher premiums. Your choice on the level of deductible should relate to your lifestyle and financial situation. If you have a large deductible (for example $1,000), you will be responsible for the repair costs up to that $1,000 level. If your budget allows this, and you know that you can put your hands on $1,000 at an unexpected time, then you will save on your premiums. On the other hand, if you aren’t likely to be able to put your hands on more than a couple of hundred dollars in an emergency, then it would make sense to have a smaller deductible, but to pay a higher premium. You will need to consider the long-term impact of your choice. It is perfectly possible that if you have a large deductible, but have small accidents on a regular basis, you could end up paying annual premiums, paying for all the repairs yourself, and never making a claim on your insurer. You’re effectively paying an annual insurance premium, but never getting any benefits from your insurance cover. Once you’ve decided on the appropriate level of deductible for your circumstance, you should consider which insurer is best for your needs. Some insurance companies can be uncooperative when you need them most. There are reviews of insurance companies on various websites. It will be worth your time finding out details of the various companies from these reviews and other sources of independent advice). You will need to make sure the insurance provider you choose is reliable and will be there to help you if and when you need them. Older What do You Need To Know About Car Insurance After a DUI?